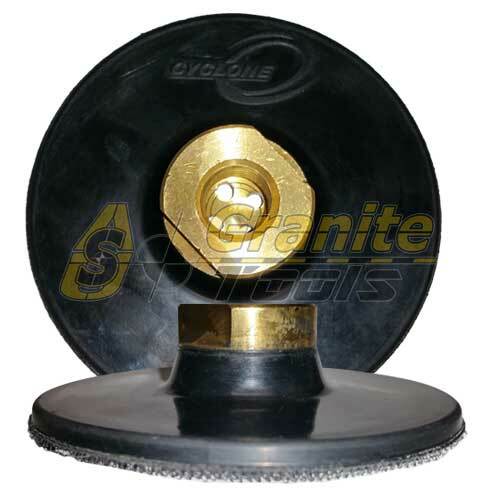 Abrasive Tech 4″ Metal Bond Cup Wheels: specifically for automatic edging machines. snail lock mounting plate for quick and easy grit changes. Specifically for automatic edging machines. Snail lock mounting plate for quick and easy grit changes. Available in x-coarse, coarse, medium, and fine grit sizes. Will shape full bullnose profiles and calibrate straight edges.